My name is Richard Bruce Conley. I was born on March 23rd 1937 to Robert Bruce and Alice Cutcher Conley. I will add more text to this page and site as time goes on. 1. Lawrence1 Conley was born Abt. 1831 in Canada. He married Mary Anne Woolman?. She was born Abt. 1833 in Canada. his father Lawrence as being born in York State, USA. 2. i. William Lawrence2 Conley, b. 31 May 1858, Limerick, Madoc, ON, Canada; d. 3 June 1911, Sanilac, MI. ii. Lawrence S. Conley, b. Abt. 1861.
iii. Mary J. Conley, b. Abt. 1862.
iv. David H. Conley, b. Abt. 1865.
v. George Conley, b. Abt. 1874. 2. William Lawrence2 Conley (Lawrence1) was born 31 May 1858 in Limerick, Madoc, ON, Canada, and died 3 June 1911 in Sanilac, MI. He married Nancy Elizabeth Wright Abt. 1872, daughter of Steven Wright and Sarah. She was born 25 May 1866 in Sterling, ON, Canada, and died 9 January 1954 in Grosse Pte., MI. 3. i. George Albert3 Conley, b. 30 October 1884, Canada; d. 21 February 1950. 4. ii. Lawrence Gilbert Conley, b. 30 June 1887, LimerickTwp, Hastings, ON, Canada; d. 10 June 1965, New Smyrna Beach, FL. iii. William John Conley, b. 3 November 1889, MI; d. 26 December 1906. 5. iv. Lewis Ernest Conley, b. 26 January 1892, MI. 6. v. Anna Beatrice Conley, b. 11 November 1895, MI; d. 23 August 1938. 7. vi. Murney Peter Conley, b. 21 October 1898, MI; d. 24 May 1985, Grand Rapids, Michigan. 8. vii. Marshall Conley, b. 30 April 1901; d. 8 December 1992, New Orleans, Louisiana. viii. Leilamae Conley, b. 24 January 1905; d. 28 August 1905.
ix. Wilbert John Conley, b. 1 June 1907; d. 10 August 1918. 3. George Albert3 Conley (William Lawrence2, Lawrence1) was born 30 October 1884 in Canada, and died 21 February 1950. He married Thressia Elizabeth Wolf. 9. i. Charles Wilham4 Conley, b. 17 July 1908. 10. ii. George Ernest Conley, b. 11 March 1911; d. 22 January 1969, Warren, Macomb, MI. 11. iii. Anna Sophia Conley, b. 2 February 1914. 12. iv. Lawrence Henry Conley, b. 3 August 1917. 4. Lawrence Gilbert3 Conley (William Lawrence2, Lawrence1) was born 30 June 1887 in LimerickTwp, Hastings, ON, Canada, and died 10 June 1965 in New Smyrna Beach, FL. He married (1) Eloda A Fox Abt. 1908. She was born Abt. 1890 in Lapeer, Michigan, and died Abt. 1914. He married (2) Effie Abt. 1920. 13. i. Gilbert Lawrence4 Conley, b. 8 November 1909, Decker, Sanilac, MI; d. 5 March 1976, New Smyrna Beach, FL. 14. ii. Robert Bruce Conley, b. 14 February 1912, Colfax Twp, Huron, MI; d. 17 April 1986, Port Huron, St. Clair, MI. 5. Lewis Ernest3 Conley (William Lawrence2, Lawrence1) was born 26 January 1892 in MI. He married Edith Krause. 6. Anna Beatrice3 Conley (William Lawrence2, Lawrence1) was born 11 November 1895 in MI, and died 23 August 1938. She married Charles (Charley) Flannigan. He was born 3 March 1889, and died 24 March 1959.
i. Willfred Marshall4 Flannigan, b. 24 January 1919. 7. Murney Peter3 Conley (William Lawrence2, Lawrence1) was born 21 October 1898 in MI, and died 24 May 1985 in Grand Rapids, Michigan. He married Arvilla Arilla Brown 8 November 1918, daughter of Joseph Brown and Elnora Allen. She was born 25 March 1901 in Decker, MI, and died 16 February 1956 in Warren, MI. 17. i. Cora Isabell4 Conley, b. 15 March 1920, MI; d. 2 August 1975, Warren, MI. ii. Joseph William Conley, b. 2 February 1922; d. 28 June 1941. 18. iii. Lawrence Edward Conley, b. 11 May 1925, Sanilac County, MI; d. 10 September 1997, MI. 19. iv. Elnora Elizabeth Conley, b. 26 September 1930, Sanilac County, MI. 8. Marshall3 Conley (William Lawrence2, Lawrence1) was born 30 April 1901, and died 8 December 1992 in New Orleans, Louisiana. He married Ellen Bishop. She was born 18 April 1901. 20. i. Leilahmae4 Conley, b. 14 October 1929. 9. Charles Wilham4 Conley (George Albert3, William Lawrence2, Lawrence1) was born 17 July 1908. He married Barbara Niece 6 November 1927. Called Barbara Neiss in one family tree. i. Charles (Chuck) Wilham5 Conley, b. 27 November 1929.
ii. Robert (Bob) Marshall Conley, b. 4 June 1933. 10. George Ernest4 Conley (George Albert3, William Lawrence2, Lawrence1) was born 11 March 1911, and died 22 January 1969 in Warren, Macomb, MI. He married Irene Grosbeck 2 October 1927. 21. i. Virginia Irene5 Conley, b. 8 January 1936. 22. ii. Eunice Teresa Conley, b. 11 July 1937. 23. iii. Clara Diana Conley, b. 27 January 1940. 24. iv. John Ernest Conley, b. 10 September 1942. 11. Anna Sophia4 Conley (George Albert3, William Lawrence2, Lawrence1) was born 2 February 1914. She married George Gabler. i. Irene Nancy5 Gabler, m. Robert McLennen. ii. Judy June Gabler, m. Hugh Fergeson. iii. Robert Edward Gabler, b. 23 January. iv. Gerald George Gabler, b. 2 June; m. Mary //. v. Evelyn Elizabeth Gabler, b. 22 October; m. Walter Zimierski. vi. David Lawrence Gabler, b. 11 December; m. Bonnie //. vii. Dorothy Anna Gabler, b. 23 November 1935; m. Robert Pierson. viii. Ricky Gabler, b. July 1954. 12. Lawrence Henry4 Conley (George Albert3, William Lawrence2, Lawrence1) was born 3 August 1917. He married Vesta Perry 6 July. 25. i. Lawrence Milton5 Conley, b. 8 June 1939. 26. ii. Jerry Lee Conley, b. 30 November 1940. 27. iii. Vee Ann Conley, b. 8 August 1948.
iv. Trudy Susan Conley, b. 23 December 1949; m. John Lee. 28. v. Mark Albert Conley, b. 31 March 1955. 13. Gilbert Lawrence4 Conley (Lawrence Gilbert3, William Lawrence2, Lawrence1) was born 8 November 1909 in Decker, Sanilac, MI, and died 5 March 1976 in New Smyrna Beach, FL. He married Eugenia Groesbeck 10 October 1930, daughter of Eugene Groesbeck and Clementine Denryter. 29. i. Robert Lawrence5 Connelly, b. 30 January 1932, Warren, Macomb, MI. 30. ii. Joan Lois Connelly, b. 20 February 1933, Warren, Macomb, MI. 31. iii. Carol Ann Connelly, b. 20 February 1938, Ossining, NY. 32. iv. Linda Mae Connelly, b. 29 January 1943, Ossining, NY. 14. Robert Bruce4 Conley (Lawrence Gilbert3, William Lawrence2, Lawrence1) was born 14 February 1912 in Colfax Twp, Huron, MI, and died 17 April 1986 in Port Huron, St. Clair, MI. He married Alice Beulah Cutcher 30 May 1936 in Port Huron, St. Clair, Michigan, daughter of Jesse Cutcher and Anna Tanguay. She was born 9 May 1915 in Paincourt, Dover, Kent, ON, and died 10 July 1994 in Port Huron, St.Clair, MI. river, which he loved so much, by Alice, April 1986. Cutcher) grave in Mount Hope Cemetery, Port Huron MI, on July 18, 1994. 33. i. Richard Bruce Michael5 Conley, b. 23 March 1937, Port Huron, St.Clair, MI. 34. ii. Deanna Mae Conley, b. 16 February 1939, Port Huron, St. Clair, MI. 35. iii. Alan Robert Lawrence Conley, b. 7 May 1940, Port Huron, St. Clair, MI. 36. iv. Patricia Alice Conley, b. 16 November 1949, Port Huron, St. Clair, MI. 37. v. Pamela Delynn Conley, b. 14 January 1951, Port Huron, St. Clair, Michigan. 15. Randall4 Conley (Lewis Ernest3, William Lawrence2, Lawrence1) He married Grace. 16. Sarah4 Flannigan (Anna Beatrice3 Conley, William Lawrence2, Lawrence1) She married Whalen Hammond. i. Carlyle D.5 Hammond, b. 20 January 1938; m. Mary Bowker. 17. Cora Isabell4 Conley (Murney Peter3, William Lawrence2, Lawrence1) was born 15 March 1920 in MI, and died 2 August 1975 in Warren, MI. She married Leland O'Guinn 6 November 1937. He was born 24 April 1907 in Cobal, TN, and died 9 December 1995 in Warren, MI. 38. i. Carol Ann5 O'Guin, b. 5 May 1938, MI. 39. ii. Yvonne Annette O'Guin, b. 3 June 1941, MI. 40. iii. Bonnie O'Guin, b. 16 February 1947. 41. iv. Joseph O'Guin, b. 11 June 1943. 18. Lawrence Edward4 Conley (Murney Peter3, William Lawrence2, Lawrence1) was born 11 May 1925 in Sanilac County, MI, and died 10 September 1997 in MI. 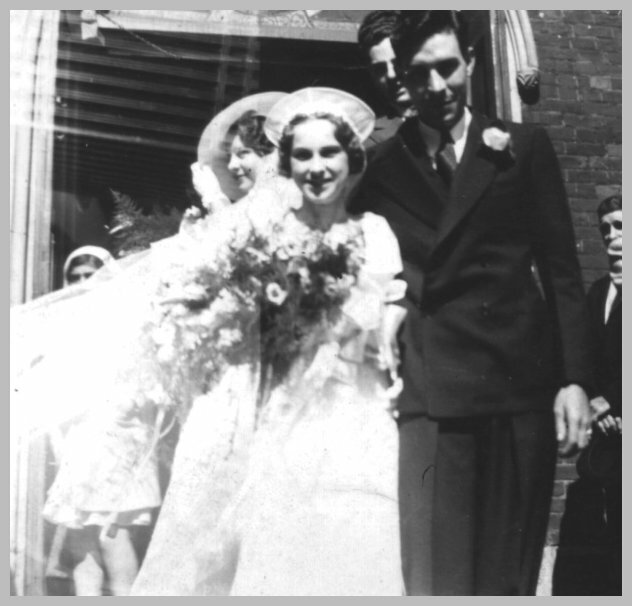 He married (1) Luella Judd 20 May 1945 in Oxford, MI. She was born 11 February 1926 in Lapeer, MI. He married (2) Betty Tausch 18 October 1958 in Lapeer County, MI. She was born 28 July 1928 in Bay City, MI, and died 9 December 1994 in Attica, MI. 42. i. Lynda Sue5 Conley, b. 30 December 1946, Detroit, MI. 43. ii. Murney Franklin Conley, b. 4 May 1949. 44. iii. Margie Conley, b. 15 May 1951, Detroit, MI. iv. Connie5 Conley, b. 28 June 1959, Lapeer, MI. 19. Elnora Elizabeth4 Conley (Murney Peter3, William Lawrence2, Lawrence1) was born 26 September 1930 in Sanilac County, MI. She married James Mulford Watters 3 December 1949 in Warren, MI, son of Glenn Watters and Alveretta Bailey. He was born 17 July 1924 in Detroit, MI. 45. i. Richard Lee5 Watters, b. 28 March 1951, Warren, MI. 46. ii. Micheal James Watters, b. 7 February 1953, Warren, MI. 47. iii. Christine Kay Watters, b. 17 January 1954, Warren, MI. 48. iv. Susan Anne Watters, b. 6 September 1958, Warren, MI. 20. Leilahmae4 Conley (Marshall3, William Lawrence2, Lawrence1) was born 14 October 1929. She married Donald Mohler. He was born 31 March 1928.
i. Marsha M.5 Mohler, b. 7 September 1951. 49. ii. Donna Mohler, b. 22 August 1953. 50. iii. Denise Mohler, b. 21 December 1956. 51. iv. Emily Mohler, b. 30 August 1959.
v. Donald B. Mohler, b. 9 November 1961. 21. Virginia Irene5 Conley (George Ernest4, George Albert3, William Lawrence2, Lawrence1) was born 8 January 1936. She married Ramon Saldana 21 May 1955. He was born 18 January 1933 in San Antonio, TX. i. Donna Marie6 Saldana, b. 25 January 1957, Detroit, Wayne, MI; m. James Mitts, 11 August 1979; b. 27 February 1954. 52. ii. Karl Ray Saldana, b. 31 August 1958, Detroit, Wayne, MI. 53. iii. Kurt James Saldana, b. 31 August 1958, Detroit, Wayne, MI. 54. iv. Diane Irene Saldana, b. 2 April 1961, Detroit, Wayne, MI. 22. Eunice Teresa5 Conley (George Ernest4, George Albert3, William Lawrence2, Lawrence1) was born 11 July 1937. She married Russell Odel Stevick. 55. i. Glen Russell6 Stevick, b. 16 December 1956, Detroit, Wayne, MI. 56. ii. Kenan Paul Stevick, b. 13 August 1959, Detroit, Wayne, MI. 57. iii. Dean Lowell Stevick, b. 17 August 1960, Detroit, Wayne, MI. iv. Lyle George Stevick, b. 3 October 1961, Detroit, Wayne, MI. 23. Clara Diana5 Conley (George Ernest4, George Albert3, William Lawrence2, Lawrence1) was born 27 January 1940. She married Larry John Summerfield 1 September 1962. He was born 12 April 1928.
i. Larry6 Summerfield, b. 19 May 1963, Royal Oak, MI; m. Sandy Rappaport, 18 December 1982; b. 21 December 1961, CA. 58. ii. Cheryl Summerfield, b. 5 September 1971, Orange, Orange, CA. 24. John Ernest5 Conley (George Ernest4, George Albert3, William Lawrence2, Lawrence1) was born 10 September 1942. He married Toyoko. i. Irene6 Conley, b. 21 January 1965, Warren, Macomb, MI. ii. Maria Conley, b. 7 April 1967, Warren, Macomb, MI. iii. George Conley, b. 6 July 1969. 25. Lawrence Milton5 Conley (Lawrence Henry4, George Albert3, William Lawrence2, Lawrence1) was born 8 June 1939. He married Carol Romanko. 59. i. Laura Lynn6 Conley, b. 1962. 26. Jerry Lee5 Conley (Lawrence Henry4, George Albert3, William Lawrence2, Lawrence1) was born 30 November 1940. He married (1) Mary Ruth Andrews. She was born 30 January 1943. He married (2) Sherrie Jean Stevens. She was born 13 November 1940. 60. i. Vesta Marie6 Conley, b. 14 August 1962. 61. ii. Pamela Conley, b. 22 December 1963. 27. Vee Ann5 Conley (Lawrence Henry4, George Albert3, William Lawrence2, Lawrence1) was born 8 August 1948. She married Glen Madison. 28. Mark Albert5 Conley (Lawrence Henry4, George Albert3, William Lawrence2, Lawrence1) was born 31 March 1955. 29. Robert Lawrence5 Connelly (Gilbert Lawrence4 Conley, Lawrence Gilbert3, William Lawrence2, Lawrence1) was born 30 January 1932 in Warren, Macomb, MI. He married Mary Margaret Columbus 25 March 1949. She was born 23 April 1931 in Swanee, GA.
62. i. Robert Lawrence Jr.6 Connelly, b. 9 November 1950, Atlanta, GA.
63. ii. Keith Robert Connelly, b. 29 June 1958, Atlanta, GA.
iii. Kevin Lawrence Connelly, b. 29 June 1958, Atlanta, GA; d. 29 June 1958, Atlanta, GA.
64. iv. Mary Denise Connelly, b. 18 December 1963, Atlanta, GA.
30. Joan Lois5 Connelly (Gilbert Lawrence4 Conley, Lawrence Gilbert3, William Lawrence2, Lawrence1) was born 20 February 1933 in Warren, Macomb, MI. She married Thomas L. Dempsey. He was born 24 February 1931.
i. Lawrie Marie6 Dempsey, b. 18 June 1952, Emory, GA; m. Leo Daniel Williams. ii. Casey Joseph Dempsey, b. 21 February 1962, DeKalb, GA; m. Dee Ann. 31. Carol Ann5 Connelly (Gilbert Lawrence4 Conley, Lawrence Gilbert3, William Lawrence2, Lawrence1) was born 20 February 1938 in Ossining, NY. She married Henry Byron Maddox 4 August 1956. He was born 5 March 1935 in Norcross, GA.
65. i. Crystal Ann6 Maddox, b. 2 June 1957, Emory University, GA.
66. ii. Cheryl Elizabeth Maddox, b. 31 January 1960, Emory University, GA.
iii. Phillip Andrew Maddox, b. 1 October 1966, Decatur, GA; m. Christie Lynn Strickland, 9 June 1990; b. 8 December 1964, Columbus, GA.
iv. Patrick Byron Maddox, b. 17 February 1969, Decatur, GA.
32. Linda Mae5 Connelly (Gilbert Lawrence4 Conley, Lawrence Gilbert3, William Lawrence2, Lawrence1) was born 29 January 1943 in Ossining, NY. She married Larry Wilson Fortner 15 September 1962. He was born 19 July 1938 in AL. i. Michele Ann6 Fortner, b. 24 December 1964, Decatur, GA; m. Damon John Miller, 5 September 1991.
ii. Brian Matthew Fortner, b. 14 July 1968, Decatur, GA.
33. Richard Bruce Michael5 Conley (Robert Bruce4, Lawrence Gilbert3, William Lawrence2, Lawrence1) was born 23 March 1937 in Port Huron, St.Clair, MI. He married Nancy Karen Sole 12 April 1958 in Port Huron, St. Clair, Michigan, daughter of Clifford Sole and Frances Wolsey. She was born 30 June 1940 in Sarnia, Lambton, ON, Can. 67. i. Annette Marie6 Conley, b. 28 August 1959, Myrtle Beach AFB, Horry, SC. 68. ii. Michele Frances Conley, b. 1 July 1961, Myrtle Beach AFB, Horry, South Carolina. 69. iii. Lori Ann Conley, b. 4 May 1965, Port Huron, St. Clair, MI. 70. iv. Stephen Michael Conley, b. 15 May 1967, Port Huron, St. Clair, MI. 34. Deanna Mae5 Conley (Robert Bruce4, Lawrence Gilbert3, William Lawrence2, Lawrence1) was born 16 February 1939 in Port Huron, St. Clair, MI. She married Harry LeRoy Bussey 7 June 1958 in Fort Bliss, Texas. 71. i. Kathleen Jo6 Bussey, b. 11 April 1959, Port Huron, St. Clair, MI. iii. Harry LeRoy II Bussey. 35. Alan Robert Lawrence5 Conley (Robert Bruce4, Lawrence Gilbert3, William Lawrence2, Lawrence1) was born 7 May 1940 in Port Huron, St. Clair, MI. He married Frances Marie Perz 15 June 1963 in Marysville, St.Clair, Michigan. She was born 2 April 1941 in Port Huron, St. Clair, MI. 72. i. David Alan6 Conley, b. 6 October 1964, San Angelo, Tom Greene, TX. 73. ii. Leanne Marie Conley, b. 16 September 1969, Port Huron, St. Clair, MI. 36. Patricia Alice5 Conley (Robert Bruce4, Lawrence Gilbert3, William Lawrence2, Lawrence1) was born 16 November 1949 in Port Huron, St. Clair, MI. She married Kevin Dale Baldus 10 January 1975 in Port Huron, St. Clair, Michigan, son of Calvin Baldus and Verlabeth Wills. He was born 5 March 1950 in Grand Haven, Ottowa, MI. i. Jason Earl6 Baldus, b. 17 July 1978, Grand Haven, Ottowa, MI. ii. Joseph Benjamin Baldus, b. 18 January 1981, Grand Haven, Ottowa, MI. iii. Jeffrey Dale Baldus, b. 3 December 1981, Grand Haven, Ottowa, MI. 37. Pamela Delynn5 Conley (Robert Bruce4, Lawrence Gilbert3, William Lawrence2, Lawrence1) was born 14 January 1951 in Port Huron, St. Clair, Michigan. She married Craig Alvin Barton 25 July 1970 in Port Huron, St. Clair, Michigan, son of William Barton and Juanita Raymo. He was born 22 May 1950 in Port Huron, St. Clair, MI. 74. i. Paul William6 Barton, b. 2 October 1971, Port Huron, St. Clair, MI. ii. Andrew Robert Barton, b. 5 September 1973, Grand Forks, ND. 38. Carol Ann5 O'Guin (Cora Isabell4 Conley, Murney Peter3, William Lawrence2, Lawrence1) was born 5 May 1938 in MI. She married Roy William Ruehlin 25 August 1956. He was born 24 May 1937.
i. Roy William6 Ruehlin, b. 30 March 1957, MI; m. Sherry Ann Johnson, 21 April 1979; b. 26 April 1958. 75. ii. Kathy Ruehlin, b. 10 November 1960, MI. iii. Larry Leland Ruehlin, b. 7 April 1965, MI. 76. iv. Gregory Scott Ruehlin, b. 29 January 1968, MI. v. Jeffry Ruehlin, b. 6 February 1970. 39. Yvonne Annette5 O'Guin (Cora Isabell4 Conley, Murney Peter3, William Lawrence2, Lawrence1) was born 3 June 1941 in MI. She married Dennis LaPeer 30 August 1958. He was born 11 July 1940. 77. i. Ken6 LaPeer, b. 4 April 1958. 78. ii. Kimberly LaPeer, b. 27 September 1960. 79. iii. Karl LaPeer, b. 10 August 1962. 80. iv. Karen LaPeer, b. 26 January 1965. 40. Bonnie5 O'Guin (Cora Isabell4 Conley, Murney Peter3, William Lawrence2, Lawrence1) was born 16 February 1947. She married Richard Lipenski 1967. He was born 16 April 1942.
i. Lisa6 Lipenski, b. 16 August 1969.
ii. Gina Lipenski, b. 10 November 1971. 41. Joseph5 O'Guin (Cora Isabell4 Conley, Murney Peter3, William Lawrence2, Lawrence1) was born 11 June 1943. He married Barbara Larent 1962. She was born 2 December 1944. 81. ii. Ronald O'Guin, b. 6 August 1962. 82. iii. Denise O'Guin, b. 27 September 1965. 42. Lynda Sue5 Conley (Lawrence Edward4, Murney Peter3, William Lawrence2, Lawrence1) was born 30 December 1946 in Detroit, MI. She married Bill Fenningdorf 1 February 1964 in Lapeer, MI. He was born 20 May 1944 in Lapeer, MI. 83. i. Wayne6 Fenningdorf, b. 2 November 1964, Lapeer, MI. ii. Matthew Fenningdorf, b. 11 January 1966, Lapeer, MI; d. 18 August 1984, Alanto, TX. 84. iii. Jay Fenningdorf, b. 27 March 1967, Lapeer, MI. 43. Murney Franklin5 Conley (Lawrence Edward4, Murney Peter3, William Lawrence2, Lawrence1) was born 4 May 1949. He married (1) Leona August 1969 in Tacoma, WA. She was born in Tacoma, WA. He married (2) Vickie July 1974. She was born 1951. He married (3) Kathy Jones June 1975. He married (4) Kristi Prosser 12 June 1986.
i. Jamie Marie6 Conley, b. 3 January 1971; d. 9 January 1973, Arlington, WA. ii. Murney Franklin6 Conley, b. 22 June 1977, Lapeer, MI. iii. Mikeal Francois Conley, b. 8 May 1979, WA. iv. Michelle6 Conley, b. 5 September 1982. 44. Margie5 Conley (Lawrence Edward4, Murney Peter3, William Lawrence2, Lawrence1) was born 15 May 1951 in Detroit, MI. She married (1) Daniel Ziets 3 July 1971 in Capac, MI. He was born 5 August 1947. She married (2) William Taylor Abt. 1983 in Sandusky, MI. i. Daniel Ziets6 Jr., b. 25 July 1972, Almont, MI. ii. DeAnna Christy Ziets, b. 9 May 1979, Rochester, MI. iii. Tina6 Taylor, b. 11 September 1983, Lapeer, MI. 45. Richard Lee5 Watters (Elnora Elizabeth4 Conley, Murney Peter3, William Lawrence2, Lawrence1) was born 28 March 1951 in Warren, MI. He married Sharon Titsworth 13 March 1971 in Lansing, MI. She was born 20 September 1951.
i. Keri Wynnette6 Watters, b. 11 November 1972, Japan; m. Matthew James Collins, 24 April 1993, Cedar Rapids, IA; b. 1 September 1969.
ii. Daniel Richard Watters, b. 6 December 1975, Lansing, MI; m. Jennifer Nobach, 22 April 1996; b. 17 April 1975.
iii. Nathan Peter Watters, b. 10 March 1978, Springfield, MO. 46. Micheal James5 Watters (Elnora Elizabeth4 Conley, Murney Peter3, William Lawrence2, Lawrence1) was born 7 February 1953 in Warren, MI. He married Elizabeth Ann Bust 9 August 1975 in MSU, Lansing, MI. She was born 14 March 1953 in Lansing, MI. i. Julie Michelle6 Watters, b. 13 May 1984, Cheyenne, WY. ii. Valerie Anne Watters, b. 2 May 1986, Cheyenne, WY. 47. Christine Kay5 Watters (Elnora Elizabeth4 Conley, Murney Peter3, William Lawrence2, Lawrence1) was born 17 January 1954 in Warren, MI. She married William Keith Chatteron 22 June 1974 in Mount Clemens, MI. He was born 1 September 1951. 85. i. Micah Paul6 Chatteron, b. 28 April 1980, Wichita, KS. ii. Jacob Keith Chatteron, b. 21 January 1992, CA. 48. Susan Anne5 Watters (Elnora Elizabeth4 Conley, Murney Peter3, William Lawrence2, Lawrence1) was born 6 September 1958 in Warren, MI. She married David Eugene Reynolds 20 September 1985. He was born 10 August 1961 in Eudora, MO. i. Joshua Mark6 Reynolds, b. 10 August 1981, Springfield, MO. ii. Torrey James Reynolds, b. 4 December 1987, Springfield, MO. 49. Donna5 Mohler (Leilahmae4 Conley, Marshall3, William Lawrence2, Lawrence1) was born 22 August 1953. She married Charlie Brown. He was born 15 September 1951.
i. Jason6 Brown, b. 15 May 1979.
ii. Jessica Brown, b. 16 October 1980.
iii. Abigail Brown, b. 27 June 1984.
iv. Aaron Brown, b. 23 August 1986. 50. Denise5 Mohler (Leilahmae4 Conley, Marshall3, William Lawrence2, Lawrence1) was born 21 December 1956. She married Alvin Kennedy. He was born 1 November 1955.
i. Nathan6 Kennedy, b. 22 November 1986.
ii. Alison Kennedy, b. 23 June 1989. 51. Emily5 Mohler (Leilahmae4 Conley, Marshall3, William Lawrence2, Lawrence1) was born 30 August 1959. She married Kirk Huber. He was born 24 October 1954.
i. Matthew6 Huber, b. 23 August 1981.
ii. Kirsten Huber, b. 7 September 1984. 52. Karl Ray6 Saldana (Virginia Irene5 Conley, George Ernest4, George Albert3, William Lawrence2, Lawrence1) was born 31 August 1958 in Detroit, Wayne, MI. He married Mildred Andrzejak 21 July 1978. She was born 19 March 1959.
i. Rebecca Lynn7 Saldana, b. 13 December 1980, Detroit, Wayne, MI. ii. Colleen Marie Saldana, b. 5 January 1982, Detroit, Wayne, MI. 53. Kurt James6 Saldana (Virginia Irene5 Conley, George Ernest4, George Albert3, William Lawrence2, Lawrence1) was born 31 August 1958 in Detroit, Wayne, MI. He married Kathleen Hubert 11 July 1981. She was born 30 May 1959.
i. Adam David7 Saldana, b. 5 September 1984, Warren, Macomb, MI. ii. Kristen Alicia Saldana, b. 29 May 1986, Warren, Macomb, MI. 54. Diane Irene6 Saldana (Virginia Irene5 Conley, George Ernest4, George Albert3, William Lawrence2, Lawrence1) was born 2 April 1961 in Detroit, Wayne, MI. She married Robert Lutch 7 August 1982. He was born 17 November 1951.
i. Sarah Irene7 Lutch, b. 10 December 1992, Warren, Macomb, MI. 55. Glen Russell6 Stevick (Eunice Teresa5 Conley, George Ernest4, George Albert3, William Lawrence2, Lawrence1) was born 16 December 1956 in Detroit, Wayne, MI. He married Elizabeth. i. John7 Stevick, b. 5 October 1990.
ii. James Russell Stevick, b. 9 November 1992. 56. Kenan Paul6 Stevick (Eunice Teresa5 Conley, George Ernest4, George Albert3, William Lawrence2, Lawrence1) was born 13 August 1959 in Detroit, Wayne, MI. He married Margaret. i. Nathan7 Stevick, b. 31 January 1989.
ii. Kailyn Stevick, b. 15 October 1990. 57. Dean Lowell6 Stevick (Eunice Teresa5 Conley, George Ernest4, George Albert3, William Lawrence2, Lawrence1) was born 17 August 1960 in Detroit, Wayne, MI. He married Faira. i. Allison7 Stevick, b. 3 December 1991. 58. Cheryl6 Summerfield (Clara Diana5 Conley, George Ernest4, George Albert3, William Lawrence2, Lawrence1) was born 5 September 1971 in Orange, Orange, CA. She married Paul Fletcher 14 December 1990. He was born 11 February 1971 in OR. i. Sean Paul7 Fletcher, b. 22 November 1992. 59. Laura Lynn6 Conley (Lawrence Milton5, Lawrence Henry4, George Albert3, William Lawrence2, Lawrence1) was born 1962. She married Mark D. Hess. 60. Vesta Marie6 Conley (Jerry Lee5, Lawrence Henry4, George Albert3, William Lawrence2, Lawrence1) was born 14 August 1962. She married (1) Dubay. She married (2) Joseph Lynn Stinnett. He was born 24 June 1958. 86. i. Alyena Mari Meme7 Dubay, b. 5 July 1977.
ii. Bruce Lee Anthony Dubay, b. 9 November 1979.
iii. Joseph Ray Lee7 Stinnett, b. 9 March 1981. 61. Pamela6 Conley (Jerry Lee5, Lawrence Henry4, George Albert3, William Lawrence2, Lawrence1) was born 22 December 1963. She married Michael Wayne Hobbs. i. Michael Wayne7 Hobbs, b. 30 May 1983.
ii. Tristan Leeann Hobbs, b. 26 January 1986. 62. Robert Lawrence Jr.6 Connelly (Robert Lawrence5, Gilbert Lawrence4 Conley, Lawrence Gilbert3, William Lawrence2, Lawrence1) was born 9 November 1950 in Atlanta, GA. He married Sharon Lynn Fleeman 14 June 1969.
i. Melissa Marie7 Connelly, b. 21 December 1973.
ii. Michael Robert Connelly, b. 10 September 1976. 63. Keith Robert6 Connelly (Robert Lawrence5, Gilbert Lawrence4 Conley, Lawrence Gilbert3, William Lawrence2, Lawrence1) was born 29 June 1958 in Atlanta, GA. He married Angela Lynn Fain 25 June 1978.
i. Keryn Ann7 Connelly, b. 21 January 1984.
ii. Nickolas Dan Connelly, b. 7 August 1986. 64. Mary Denise6 Connelly (Robert Lawrence5, Gilbert Lawrence4 Conley, Lawrence Gilbert3, William Lawrence2, Lawrence1) was born 18 December 1963 in Atlanta, GA. She married William Joseph Schmidt 12 October 1985. 65. Crystal Ann6 Maddox (Carol Ann5 Connelly, Gilbert Lawrence4 Conley, Lawrence Gilbert3, William Lawrence2, Lawrence1) was born 2 June 1957 in Emory University, GA. She married Joseph John Zumma 28 July 1979. He was born 18 July 1957 in Bronx, New York, NY. i. Jessica Lauren7 Zumma, b. 20 October 1980, Atlanta, GA.
ii. Christina Marie Zumma, b. 10 December 1984, Atlanta, GA.
iii. Carrie Ann Zumma, b. 25 April 1987, Atlanta, GA.
66. Cheryl Elizabeth6 Maddox (Carol Ann5 Connelly, Gilbert Lawrence4 Conley, Lawrence Gilbert3, William Lawrence2, Lawrence1) was born 31 January 1960 in Emory University, GA. She married Michael Charles Altman 8 August 1981. He was born 5 June 1956 in Jacksonville, FL. i. Jeremy Scott7 Altman, b. 21 November 1983, Decatur, GA.
ii. Justin Michael Altman, b. 22 July 1988, Ft. Stewart, GA.
67. Annette Marie6 Conley (Richard Bruce Michael5, Robert Bruce4, Lawrence Gilbert3, William Lawrence2, Lawrence1) was born 28 August 1959 in Myrtle Beach AFB, Horry, SC. She married Michael Robert Delong. i. Brent Richard-Robert7 Delong, b. 13 September 1983.
ii. Nicholas Michael Delong, b. 1980. 68. Michele Frances6 Conley (Richard Bruce Michael5, Robert Bruce4, Lawrence Gilbert3, William Lawrence2, Lawrence1) was born 1 July 1961 in Myrtle Beach AFB, Horry, South Carolina. She married Marvin James Jr Shagena 13 July 1979 in Lakeport, St. Clair, Michigan. i. Jessica Renee7 Shagena, b. 7 November 1981, Abilene, Texas. ii. Casey Rebecca Shagena, b. 18 July 1984, Indiana, Pennsylvania. iii. Mia Michele Shagena, b. 2 December 1987, Lakeport, St. Clair, Michigan. iv. Brady Robert Shagena, b. 14 November 1989, Lakeport, St. Clair, Michigan. 69. Lori Ann6 Conley (Richard Bruce Michael5, Robert Bruce4, Lawrence Gilbert3, William Lawrence2, Lawrence1) was born 4 May 1965 in Port Huron, St. Clair, MI. She married Marvin James Westfall. i. Alexandria Mae7 Westfall, b. 13 October 1990.
ii. Sydney Rae Westfall, b. 7 July 1997. 70. Stephen Michael6 Conley (Richard Bruce Michael5, Robert Bruce4, Lawrence Gilbert3, William Lawrence2, Lawrence1) was born 15 May 1967 in Port Huron, St. Clair, MI. He married Kimberley Ann Schieman. She was born 26 December 1966.
i. Stephanie Marie7 Conley, b. 18 June 1993, Port Huron, St. Clair, MI. 71. Kathleen Jo6 Bussey (Deanna Mae5 Conley, Robert Bruce4, Lawrence Gilbert3, William Lawrence2, Lawrence1) was born 11 April 1959 in Port Huron, St. Clair, MI. She married Harry Kurt McCorkle 17 August 1985 in Las Vegas,Clark,NV. He was born 19 July 1961 in Ponca City, OK.
i. Harry Christopher7 McCorkle, b. 15 April 1987. 72. David Alan6 Conley (Alan Robert Lawrence5, Robert Bruce4, Lawrence Gilbert3, William Lawrence2, Lawrence1) was born 6 October 1964 in San Angelo, Tom Greene, TX. He married Anna Filia 1 February 1991 in Fort Benning, GA. She was born 1 March 1969.
i. Patrick Alan7 Conley, b. 9 April 1995, Germany. ii. Marisa Elizabeth Conley, b. 22 April 1999, Alpena,Alpena,MI. 73. Leanne Marie6 Conley (Alan Robert Lawrence5, Robert Bruce4, Lawrence Gilbert3, William Lawrence2, Lawrence1) was born 16 September 1969 in Port Huron, St. Clair, MI. She married Clinton Ray Dobson 25 June 1994 in Marysville, St. Clair, MI. He was born 20 October 1968 in Port Huron, St. Clair, MI. i. Tyler Clinton7 Dobson, b. 8 September 1996, China Twp., St. Clair, MI. ii. Ryan Michael Dobson, b. 1 April 1999. 74. Paul William6 Barton (Pamela Delynn5 Conley, Robert Bruce4, Lawrence Gilbert3, William Lawrence2, Lawrence1) was born 2 October 1971 in Port Huron, St. Clair, MI. He married Yvonne Lehlani Pitcher 28 June 1990 in Hewitt, McClennan, TX. She was born 22 November 1971 in HI. i. Hope Ashley7 Barton, b. 5 June 1993, Germany. ii. Hannah Rose Barton, b. 20 September 1998. 75. Kathy6 Ruehlin (Carol Ann5 O'Guin, Cora Isabell4 Conley, Murney Peter3, William Lawrence2, Lawrence1) was born 10 November 1960 in MI. 76. Gregory Scott6 Ruehlin (Carol Ann5 O'Guin, Cora Isabell4 Conley, Murney Peter3, William Lawrence2, Lawrence1) was born 29 January 1968 in MI. i. Gregory Scott Ruehlen7 Jr..
77. Ken6 LaPeer (Yvonne Annette5 O'Guin, Cora Isabell4 Conley, Murney Peter3, William Lawrence2, Lawrence1) was born 4 April 1958. He married Marjorie Smith. She was born 7 September. i. Ashley Christian7 LaPeer, b. 19 September 1983.
ii. Grand Robert LaPeer, b. 16 July 1994. 78. Kimberly6 LaPeer (Yvonne Annette5 O'Guin, Cora Isabell4 Conley, Murney Peter3, William Lawrence2, Lawrence1) was born 27 September 1960. She married Eli ?. 79. Karl6 LaPeer (Yvonne Annette5 O'Guin, Cora Isabell4 Conley, Murney Peter3, William Lawrence2, Lawrence1) was born 10 August 1962. He married Christine Blood. i. Heather Alycia7 Lapeer, b. 6 March 1990.
ii. Nathanial Ryan Lapeer, b. 22 November 1993. 80. Karen6 LaPeer (Yvonne Annette5 O'Guin, Cora Isabell4 Conley, Murney Peter3, William Lawrence2, Lawrence1) was born 26 January 1965. She married Shawn Cobb. i. Christopher7 Cobb, b. 5 August 1989.
ii. Sheldon Cobb, b. 25 March 1990.
iii. Fawn Cobb, b. 3 May 1992. 81. Ronald6 O'Guin (Joseph5, Cora Isabell4 Conley, Murney Peter3, William Lawrence2, Lawrence1) was born 6 August 1962. He married Michelle Brown. She was born 16 March 1966.
i. Megan Nicole7 O'Guin, b. 12 September 1987.
ii. Melissa Noel O'Guin, b. 22 December 1990. 82. Denise6 O'Guin (Joseph5, Cora Isabell4 Conley, Murney Peter3, William Lawrence2, Lawrence1) was born 27 September 1965. She married David Gerkey. He was born 25 July 1966.
i. Stephen Abram7 Gerkey, b. 8 July 1992.
ii. Brittany Marie Gerkey, b. 3 April 1996. 83. Wayne6 Fenningdorf (Lynda Sue5 Conley, Lawrence Edward4, Murney Peter3, William Lawrence2, Lawrence1) was born 2 November 1964 in Lapeer, MI. He married June Lerma 28 May 1983.
i. Lynda Marie7 Fenningdorf, b. 12 June 1983.
ii. Joanna Lyn Fenningdorf, b. 20 February 1985. 84. Jay6 Fenningdorf (Lynda Sue5 Conley, Lawrence Edward4, Murney Peter3, William Lawrence2, Lawrence1) was born 27 March 1967 in Lapeer, MI. He married Wanda 17 September 1990. She was born 7 March 1970 in WA. i. Justin7 Fenningdorf, b. 14 April 1990, Portland, OR. ii. Tanner Matthew Fenningdorf, b. 19 March 1992, Kelso, WY. 85. Micah Paul6 Chatteron (Christine Kay5 Watters, Elnora Elizabeth4 Conley, Murney Peter3, William Lawrence2, Lawrence1) was born 28 April 1980 in Wichita, KS. He married Elizabeth Faith Aamont. She was born 29 July 1979.
i. Ezra Phoenix7 Chatteron, b. 20 July 1996, CA. 86. Alyena Mari Meme7 Dubay (Vesta Marie6 Conley, Jerry Lee5, Lawrence Henry4, George Albert3, William Lawrence2, Lawrence1) was born 5 July 1977. She married Jason Kyle Chasteen. He was born 19 November 1976.
i. Warren Anthony8 Chasteen, b. 20 June 1995.
ii. Stephen Kyle Chasteen, b. 27 October 1996.